The ProSource buying group is pushing lighting control and remote managed services as new opportunities for home-technology integrators, adding OneVision, Parasol, SnapAV's OvrC, Coastal Source and Colorbeam to its roster of providers. 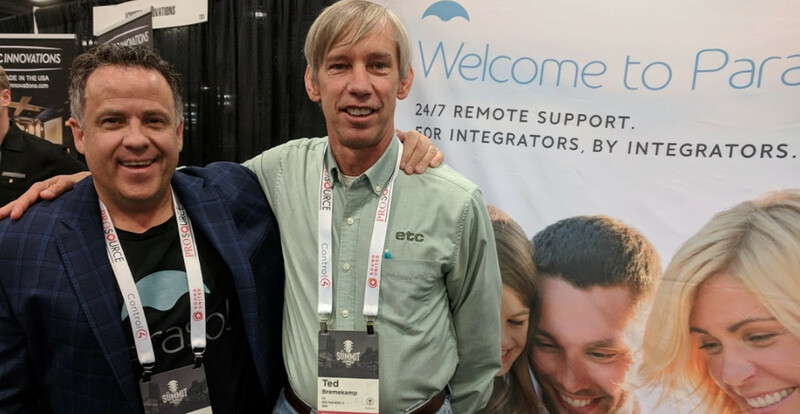 Greg Simmons of Eagle Sentry (left) and Ted Bremekamp of ETC, tout remote managed services from the start-up Parasol, launched by three large ProSource dealers. The group joins the OneVision Resources as ProSource's preferred providers of remote tech support. ProSource, the largest of the home-technology buying groups with over 560 dealer members, had an “amazing year” in 2017, said group CEO David Workman during the recent Summit 2018 in Nashville. All of the major home-tech categories fared well over the year, he said, even the once-sagging TV sector (below). 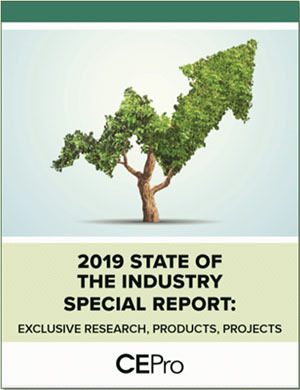 The group grew its “custom install” business 13 percent in 2017, including such categories as lighting controls, home automation, surveillance, and motorized shades. Workman and the ProSource team want more of that for their dealers and vendors in 2018. This year, ProSource is challenging dealers to invest in new growth areas, including specialty lighting and managed services. To that end, the organization brought on several new vendors in those categories, and plans special training programs to help dealers thrive in the focus areas. 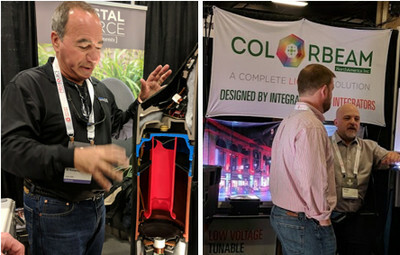 Two specialty lighting vendors, Coastal Source and ColorBeam are bringing new opportunities to ProSource dealers. In lighting, ProSource welcomed Colorbeam, provider of low-voltage LED lighting systems that are powered and managed over Cat 5 cabling. Also joining the group is Coastal Source, maker of outdoor lighting and audio systems with a unique cabling system that simplifies installation and enhances reliability. Lighting-control vendors Control4 and Vantage are already part of the group. Workman says several ProSource dealers with a long history of lighting design and installation will form a new working group to develop training programs and share best practices with other members. Where ProSource really wants to shine as a group, though, is in managed services – providing dealers with a platform for monitoring their clients’ systems remotely, as well as third-party services for 24/7 tech support. On the platform side, the buying group welcomed SnapAV’s OvrC to the family, promoting the solution as something like ProSource’s house brand for managed services. 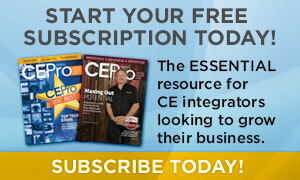 Workman tells CE Pro that OvrC got the nod because it currently is the preferred platform among ProSource dealers. To enable OvrC services, the dealer first installs an inexpensive OvrC Pro Hub at the client’s premises. The hub connects securely to OvrC’s cloud service, which can identify all connected devices and monitor them – and the network – around the clock. Dealers are alerted to potential issues like an Internet outage or a misbehaving cable box, so they can analyze the conditions, reboot devices remotely, or contact the customer for other remedies. Dealers can dive even deeper into connected devices that have OvrC built in – accessing activity logs, checking firmware versions, reviewing settings, and gaining additional insight from accessory devices. It’s no wonder, then, that ProSource picked up all of SnapAV’s connected brands this year – Araknis (networking), Luma (surveillance), Visualint (video analytics), and WattBox (power management). Another OvrC-enabled product line, Autonomic (multiroom audio), was already part of ProSource before SnapAV acquired it. Knowing all too well that integrators often specify remote-management systems but fail to actually monitor and support their clients’ networks with any regularity, ProSource took it upon itself to facilitate proactive 24/7 tech support – a major component of successful managed service programs. 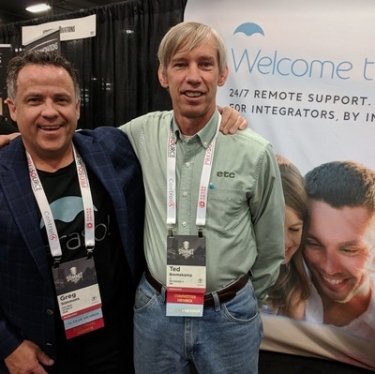 Two 24/7 service providers, both founded by integrators, are now part of ProSource: the established OneVision Resources and the newer Parasol, launched recently by some of the industry’s top integrators, all ProSource members. OneVision, which currently supports systems on the Ihiji (now Control4) and Domotz remote-monitoring platforms, provides deep technical support for integrated home-automation systems and subsystems. The support staff is experienced with major brands in the home-tech channel, as well as popular DIY solutions. Parasol offers more meat-and-potatoes support as allowed by OvrC, analyzing and troubleshooting network issues, rebooting stubborn devices, and relaying pertinent details to the installing dealer, who can then be prepared for a service call. Parasol can provide additional insight and support for connected devices with OvrC inside. The embrace of OneVision and Parasol represents a major pivot for ProSource. Almost two years ago, the group set about building its own tech-support service for dealers, ultimately narrowing the supported platforms down to Domotz and Ihiji, and getting deep into discussions with PlumChoice and Trusource Labs for tech support. The most expeditious approach would be to engage with known players who could deploy the needed services right away. OneVision was already well established with a loyal base of dealers who desired top-level support from their service partner. What ProSource needed was a second provider with a scaled-down program that would appeal to a broader dealer base. Parasol's arrival was serendipitous, according to Workman, who says ProSource did not have any involvement with the start-up. And even though Parasol is relatively new, it’s backed by three savvy integrators who have already tested the service with with hundreds of clients. The basic plan provides 24/7 support via text and chat, while the higher-level plan includes "proactive" service with remote systems monitoring and diagnostics via OvrC. Dealers share in the recurring revenue. All clients have OvrC Pro hubs at their premises, and SnapAV has worked with Parasol to create a back-end service for supporting third-party dealers who utilize the service. Now, with products, platforms and service providers in place for its managed services initiative, says Workman, "We believe we're two years ahead of any other solutions." The new initiatives shouldn't take away from ProSource's core categories. The TV business overall was up 14 percent in 2017, but there’s better news yet: Sales of “premium” displays (over $1,500 ) rose 34 percent over the year, and Workman sees continued growth in 2018. He attributes the uptick to ever-larger displays made possible by new technologies that deliver brighter pictures and higher resolutions in slimmer form factors and lighter-weight packages. The larger the screen, Workman says, the less likely consumers will be to order online and install it themselves. Interestingly, Amazon continues to disrupt the specialty A/V channel in general, but the e-commerce giant barely competes in the big-screen category. Workman says Amazon’s market share for large panels is only around 9 percent. The rise of the really-big-screen – and the special handling these beasts require – doesn’t explain the entire 34 percent rise in ProSource’s premium-TV business. Workman credits the group’s TV vendors – JVC, LG, Samsung and Sony – for implementing new programs that support specialty dealers. ProSource’s loudspeaker business grew 12% in 2017, and electronic components were up 23% for the year. The group grew its “custom install” business 13 percent in 2017, according to Workman. That category includes integrated systems such as lighting controls, home automation, surveillance, and motorized shades. Looking ahead, Workman doesn’t expect quite the pace of growth in 2018 as in the previous year, but every category should make a strong showing. The custom-install business will grow a little more, the audio business a little less, and the overall TV business about the same. The only significant departure is the premium TV segment, estimated to grow at 25 percent for 2018, compared to 34 percent in 2017.